This twelve features "Central Pro. 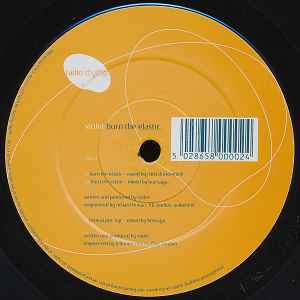 NYC", the correct track & mix from Sasha & Digweed's "Northern Exposure 2" (tunespotters please note that NE2 incorrectly namechecks the track as Violet vs. Mantronik - "Burn The Elastic" which is a mistake in the original tracklisting). A1 & A2 - Engineered by Richard Brown at TTB Studios, Wakefield. B - Engineered by Q. Bones at RMS Studios, London. Design by Paul Allen and Tom Hingston, The Dongorgan.